Who are the Mayan Orthodox? 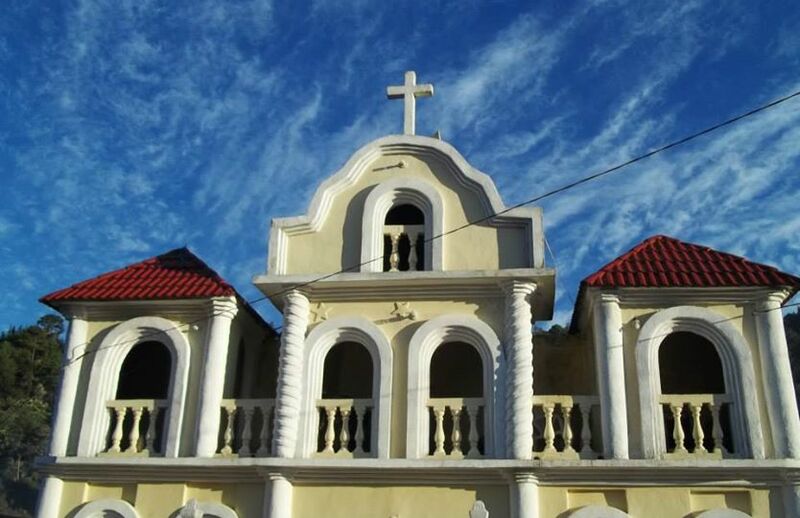 The Mayan Orthodox are a group of several thousand Guatemalans and Mexicans who came into the Orthodox Church in 2010 under the Greek Orthodox Metropolis of Mexico. They are called “Mayan” Orthodox because the majority of the converts are descendants of the ancient Mayan groups who lived in Central America long before Europeans arrived. The Mayans might seem like a relic of ancient history, but there are still millions of Mayan people who live in Central America and speak their native, Mayan languages. Now, a huge group of those Mayans have entered the Orthodox Church. How did they come into the Orthodox Church? Most of these people were originally Roman Catholics who fell away for various reasons. Some of the people wanted to stay in the Catholic Church but were alienated because of their non-traditional, often charismatic worship practices. Other people came from a different background that was liturgically conservative, and they left because they thought poorly of their bishops or they disagreed with changes in the Catholic Church (e.g., Vatican II). These diverse communities were all united by the late Fr. Andrés Girón, a former Roman Catholic priest and an active politician. Through his charisma and his leadership in land reform movements, Fr. 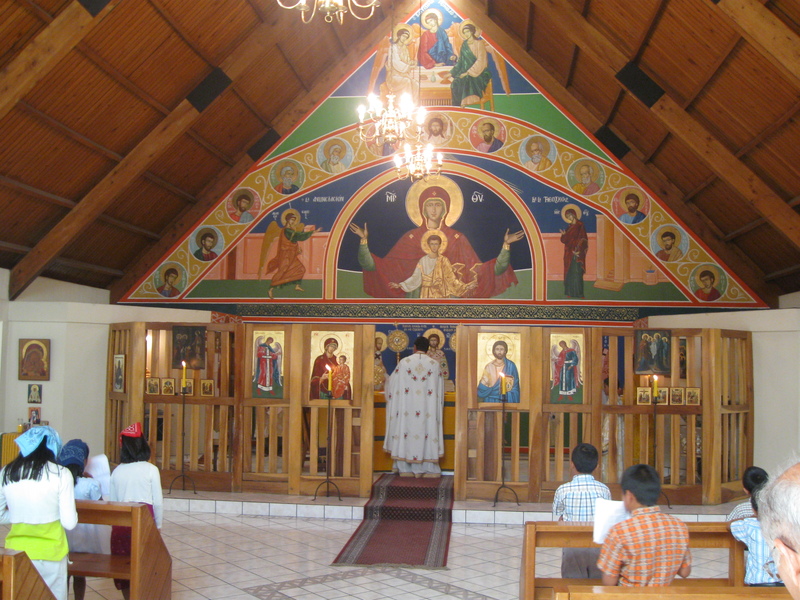 Andrés united the diverse communities and brought them into the Orthodox Church in 2010. Is this group related to the orphanage in Guatemala City? People from across the world have traveled to the Hogar Rafael Ayau, an Orthodox orphanage in Guatemala City. In terms of its history, the orphanage is not connected with the Mayan communities. The nuns who run the orphanage came into the Orthodox Church through different life events, and they entered into a different church jurisdiction (Antiochian) than that of the Mayan communities (Greek). There has been some interaction between these two different Orthodox groups: two of the Mayan clergy were ordained at the nuns’ monastery by Metropolitan Athenagoras, and at one point some of the orphans from the Hogar lived with Fr. Andrés Girón. At this point, however, the collaboration has not developed further. Nevertheless, by God’s grace and through the leadership of the hierarchs, the two groups could work more closely in the future to create an even stronger movement towards Orthodoxy in Central America. How many Mayan Orthodox people are there? How many villages and parishes? If getting precise numbers is difficult, putting these numbers to a map is just as hard because the knowledge of specific parish locations is not kept in written records. Instead, it is stored in the memory of living people, especially the handful of priests who travel far and wide to visit these far-flung communities. However, this living record of the church is slowly being recorded online. In fact, you now can explore an interactive map of the parishes (click here), which is far from complete but is being updated on an ongoing basis. As the map shows, the parishes are concentrated in southwestern Guatemala, spilling over into Southern Mexico. The following pictures are screenshots from the map. How many priests and leaders are there? The number of people is very large, but there are only a tiny handful of priests. For roughly 40,000 people and 100 parishes, there are only seven priests available to provide sacraments and spiritual guidance (when Fr. Andrés still lived, there were eight). Further, these few priests must travel for miles on steep, mountain roads where landslides and thick mud can easily prevent passage. The churches do find additional support from a few hundred catechists who live in the villages as elders and leaders of the communities—as Fr. John Chakos puts it, these catechists are “the backbone of the Orthodox Church.” Nevertheless, these catechists know very little about the church that they have joined, and as laypeople, they cannot fill the tremendous need for more frequent sacraments. More people must be trained, both as priests and as skilled lay leaders, and that training is one of the responsibilities of the missionaries. To meet the priests, click here. Where are the people in the transition to Orthodoxy? At this point, the priests have received the most training in Orthodox theology and liturgical practice, some of them even traveling abroad to find a more immersive experience of Orthodox worship. At the grass roots level, however, most people do not fully understand the church that they have joined. Nevertheless, almost all of the people identify as part of la iglesia ortodoxa (the Orthodox Church), often with a sense of pride and hope because this identity tells them that they “are not alone”—a common refrain among the community leaders. So, overall, the people self-identify as Orthodox and are generally eager to learn, but they are still at the very beginning of a long process of transition. This question is hard to answer because of the transition that is presently occurring. A tremendous shift recently occurred after the death of Fr. Andrés in 2014; as Fr. David and Rozanne Rucker observed, the church will take time “to regain an equilibrium after this loss of leadership.” As new leaders come to the forefront, it is hard to predict how the communities will react and adapt. There is also pressure on the Mayan Orthodox, who often feel attacked by some members of the Roman Catholic Church and by a large and very assertive splinter group that broke away from the Catholic church and recently joined the Oriental Orthodox Church. 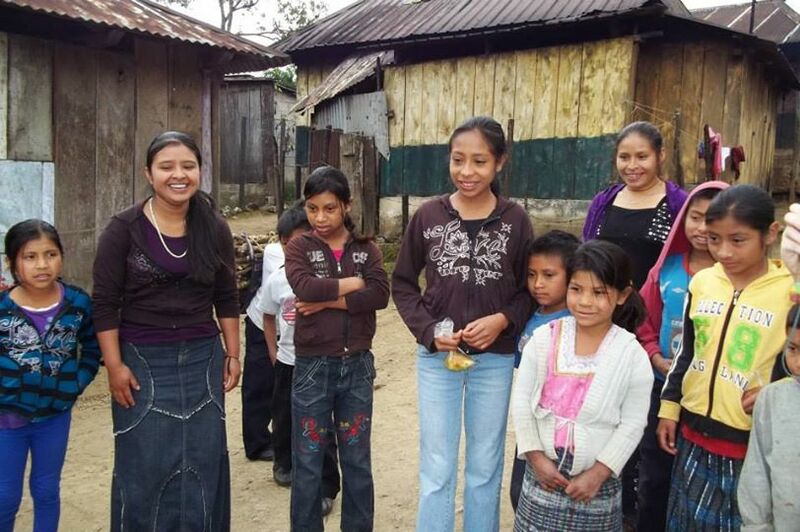 It is a critical time for the Mayan Orthodox communities, and the future is in God’s hands. Now more than ever, the Mayan Orthodox Church needs the prayers and support of the broader Orthodox Church. 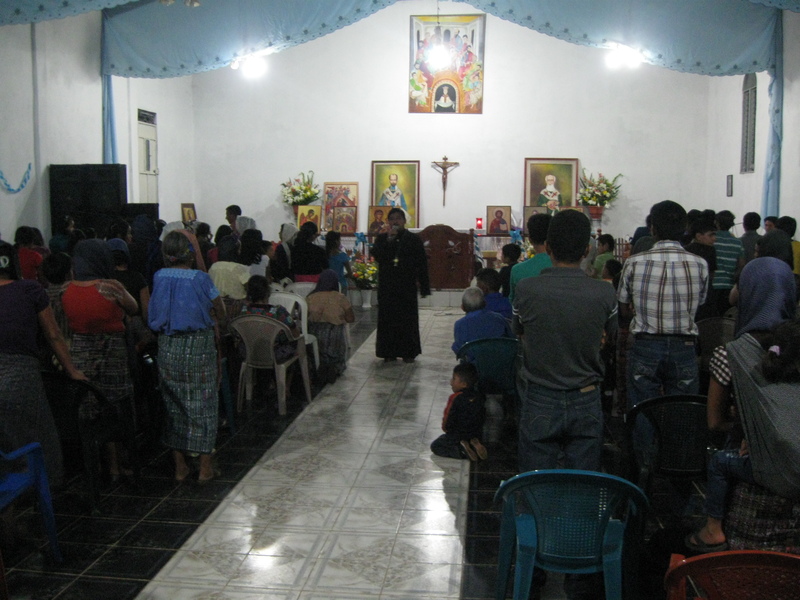 First, please pray for the Mayan Orthodox communities. Stand with them before Christ, both in your personal prayers and in your parish community. Second, support the missionaries in the field. This is the most effective way to channel your financial support for the Mayan Orthodox because their own leaders are pleading for skilled teachers and guides to be sent to assist them. The missionaries are incredibly grateful for anything you offer because, through your support, you are standing by their side as partners, co-workers, and members of the team. If you are able, you can have the deepest impact through a commitment to regular, monthly support—rather than a one-time donation—because your monthly commitment enables the missionaries’ work to continue into the future, for months and even years to come. Click here to support the missionaries and join the team. Finally, answer your own call to mission work. Whether in the mountains of Guatemala or in the streets of New York, Christ is calling every person in this world to participate in his ministry. Answer your call today by contacting the Orthodox Christian Mission Center (OCMC). Should I come to Guatemala? The communities in Guatemala and Mexico have very specific needs that require missionaries to have advanced theological training and to learn Spanish with complete fluency. Because of these needs, only very few should consider becoming directly involved in the field. But every single person can become a member of the team by supporting the missionaries who are working in Guatemala and Mexico. Your ongoing support is invaluable because without you, the missionaries can do nothing. If you do speak Spanish and have prior theological training, consider the possibility of offering your talents to the Mayan communities. At the same time, please maintain a sense of humility and openness to serving wherever God calls you—Guatemala, another country, or the alleyways of your own neighborhood. 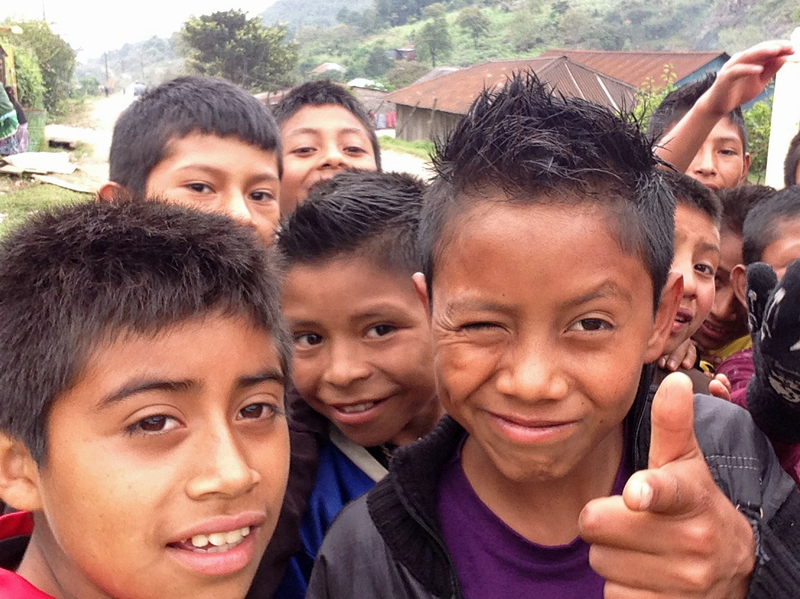 Thank you so much for supporting the Mayan Orthodox and the missionaries who serve them! This entry was posted in Featured News, News and tagged Greek Orthodox, Guatemala, Mayan Orthodox, Mexico, Orthodox Church by OCP. Bookmark the permalink. I speak Spanish and have extensive theological training. I am interested in serving the people of Guatemala as an Orthodox Priest. I currently live in Antigua, where I work as a musician.